With one quick swivel, the wireless Toughbook 19 Tablet PC transforms from a fully-rugged maximum-performance notebook PC to a fully-rugged handwriting-friendly tablet PC. Take handwritten notes, mark and edit documents and draw diagrams. It even converts handwriting to printed text. 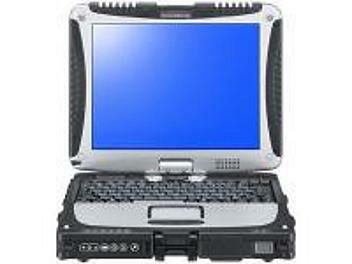 The Toughbook 19-tough times two.